Manual therapy of the cervical spine presents several challenges to practitioners as the cervical spine demonstrates complex kinematic motions that may require skilled manual therapy to restore normal motion and facilitate return to function. This article conducted research on different manual therapy techniques to compare the effectiveness of three common manual therapy techniques for patients with chronic neck pain: High velocity low amplitude manipulations (HVLA), mobilizations (MOB), and sustained natural apophyseal gliding (SNAG) techniques. Participants were required to have had at least 12 weeks of pain without radicular symptoms present. 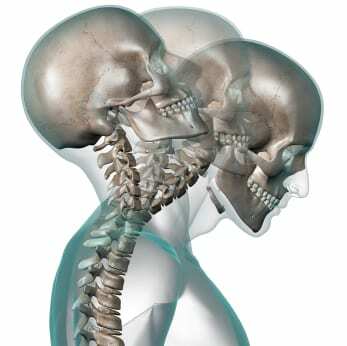 Patients with known pathologies such at cervical disc herniation, motor vehicle accident whiplash, or previous neck surgery etc. were excluded. The study included 51 subjects and randomly separated them into either a HVLA, MOB, or SNAG group. Outcome measures used for the experiment were the Visual Analog Scale, Neck Disability Index, Global Rating of Change, and Cervical Range of Motion. Patient outcomes were measured at baseline, end of treatment, and once each of the following three months after the end of treatment. The HVLA group placed the patient supine with the cervical spine in a neutral position. A maximum of two thrusts were performed taking into account whether the most limited motion was lateral flexion or rotation. The MOB group was placed in prone and the therapist stood at the head of the patient. His thumbs were placed in opposition at the level of the facets of the hypomobile vertebra and they used oscillatory pressure in a posteroanterior direction. The SNAG group placed the patient in a sitting position. The hypomobile segment was identified and the therapist placed their thumbs on the transverse processes of that level. The patient would perform the painful motion actively while the therapist guided the vertebra during movement and resisted it upon return to neutral. Personal Commentary: Chronic non-specific neck pain can be a frustrating experience not only for our patients, but also to the treating therapist. Manual therapy of the cervical spine can serve to decrease pain and help a patient regain normal osteokinematic motion. However, as the author detailed in this article, manipulations of the cervical spine have also correlated with neurovascular injuries such as dissection of the vertebral artery subsequently leading to stroke. Specifically, HVLA has been found to be the most likely connection to CVA when a manipulation is performed at end-range cervical extension with rotation. Ernst noted there are numerous accounts of death following chiropractic care following HVLA and the number is decreased due to the vast underreporting of serious complications following chiropractic care. I found this information pertinent because of the current trend of physical therapists moving toward more manual therapy techniques involving manipulation. There are no cure-all or fix-all techniques and the clinician must be diligent in selecting the right patient with the right diagnosis using the right technique at the right time. Therefore, I am advocating that as a student physical therapist we need to first strongly consider is this technique safe, and then secondly if risk is associated, is there a positive risk-benefit ratio to justify the use of the technique. In the case of HVLA manipulation of the cervical spine, there appears to be evidence contrary to the above two concerns. There appears to be significantly less risk utilizing SNAG and MOB techniques in the patient with nonspecific neck pain. This study supports all three approaches to manual therapy to the cervical spine provide statistically similar short-term therapeutic benefit.